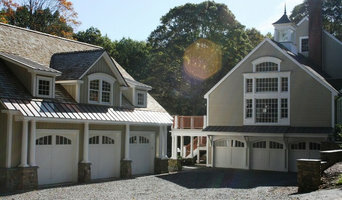 EVOLVE is a full service remodeling firm based in Westchester, New York. EVOLVE offers a wide range of home improvement services, including: roofing, siding, windows, additions, tiling, and home renovation. The company was founded by John Vesuvio, a contractor of over 40 years experience, and is run by John and his son Jonathan, a contractor with 10 years experience. Both father and son manage the company’s clients and sales themselves, and provide a personal, hands-on experience for their clients. EVOLVE Remodeling Group seeks to help homeowners design and create their dream homes, while minimizing the disruptive impact on their lives. Our team consists of dedicated professionals with trade-specific skills, working together to create high quality work that our customers deserve. With well crafted designs that range from sleek modern minimalism to fine-wrought country romanticism, EVOLVE’s dedicated specialists cater their skills and materials to each individual homeowner’s needs, and our clients’ testimonials speak to the success of our approach. Free estimates and design consultations are available upon request. 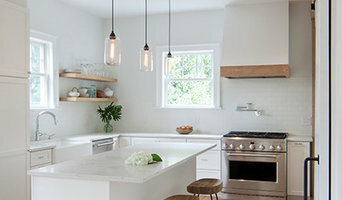 Westchester County's Leading General Contractor | Best of Houzz! The Icon Remodeling Group is a full service contracting company serving the Westchester Area. We provide New Construction, Remodeling, & Repair Services. We take pride in turning your dreams into a reality. Whether it be painting a room, or re-designing your kitchen or bathroom, we strive to provide a finished product that you and your family will be proud of, and one that you will be excited to share with family and friends. While thinking about your next project, don’t let it be stressful. Sometimes you just need the right guidance and a small push in the right direction. At Icon, we provide that helping hand to guide you throughout the whole process from start to finish. Whether you need an architect or designer, we work with some of the areas best and brightest, and work closely with them to make the process as easy and stress free as possible. After having your ideas down on paper, or designs in place, we will handle the rest. Now let’s say your project does not require those professional services, that’s where our experience comes in. With countless past projects, we can provide insight to the latest trends and styles that have entered home’s & spaces everywhere. From the bidding process, to the management and facilitation of all trades needed, we are here to help. Icon partners with local trades, such as plumbers, electricians, HVAC contractors, and many more. If you need it done, we will bring the right people in to do it. So, don’t feel like you need to make multiple calls, to get it all done. Make one phone call to The Icon Remodeling Group today and let us take care of the rest. Call (914) 490-1704 for your free estimate or consultation.